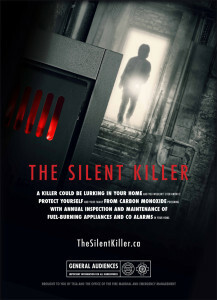 Carbon Monoxide (CO) safety and awareness has been one of TSSA’s most significant, risk-informed strategies for several years. As a leading cause of accidental poisonings in Ontario, CO awareness is a top priority for consumer awareness and keeping Ontarians safe. The campaign was launched in partnership with the Office of the Fire Marshal and Emergency Management and CO detector manufacturer KIDDE and will run through to April.